Step inside this travel trailer for a fun and unforgettable camping experience. The large slide out in the living room allows for more space to let the kids to play on the floor, and the rear bath includes a walk-in closet with a dresser! 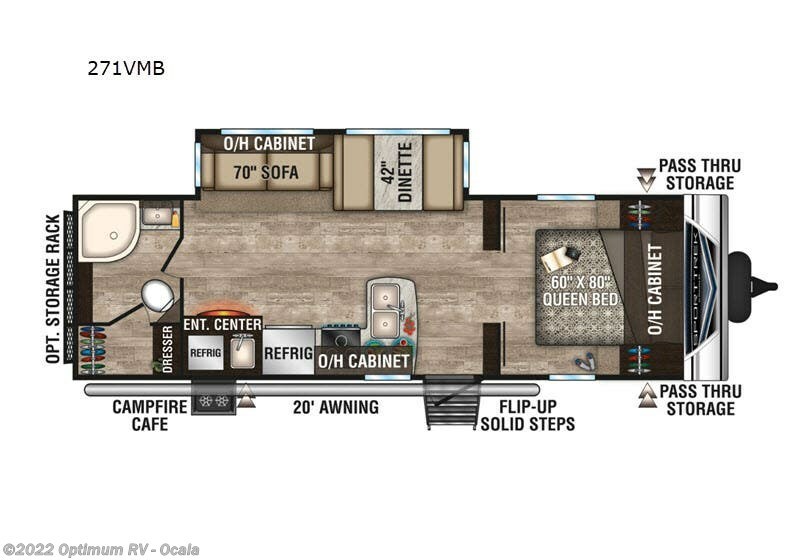 This unit includes a queen Sleep Tight mattress in the front private bedroom, and a 70" sofa, and 42" dinette in the living room, which allows space to sleep six people each night. You'll love the campfire cafe to grill up some hot dogs after a fun day on the lake, and a 20' awning allows shade from the hot summer sun. Check out Stock # 2KZ537 - 2019 Venture RV SportTrek 271VMB on venturervsource.com!